Fresh from Oregon means fresh from my own garden. 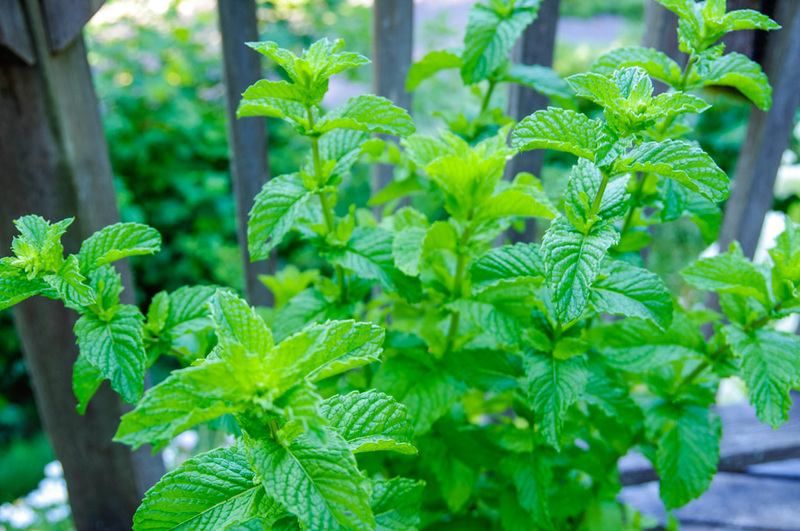 I planted a big barrel of Mojito mint and it is ready to harvest. 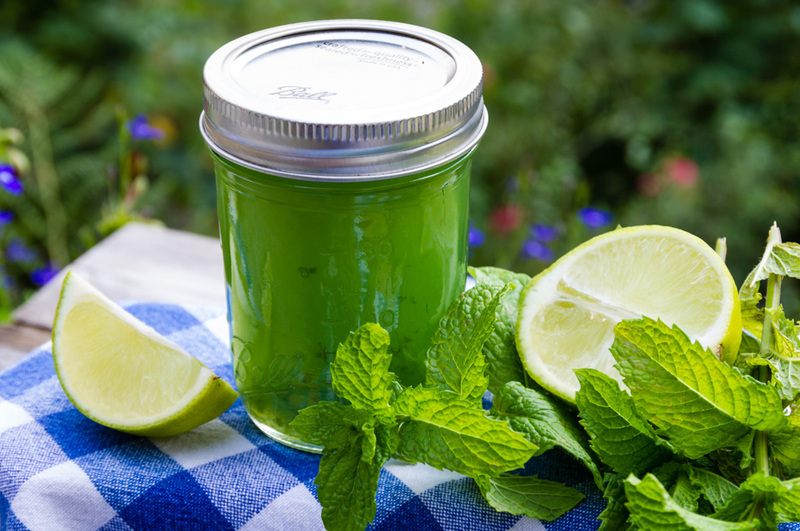 So what to make with all this mint … Fresh From Oregon Mint Mojito Jelly. This is great served as a condiment with pork or lamb but I like to just spoon it over a block of cream cheese and serve it with crackers. Great recipe to preserve the Fresh From Oregon taste you can enjoy throughout the whole year. It also makes a quick and easy treat for unexpected guest who stop by, enjoy! Bruise mint leaves a bit with a fork or by twisting. Add to the water in a saucepan. Boil over high heat until reduced by half to 4 cups of liquid. Strain and discard the leaves. To the water add the box of powdered pectin and stir until dissolved. Add the sugar and fresh lime juice. Bring to a boil. Boil for one minute, stirring constantly. Remove from heat and skim foam of the top if any. I add a few drops of green food coloring to make it a little more greener. Ladle into sterilized jars and process for 10 minutes in a hot water canner.